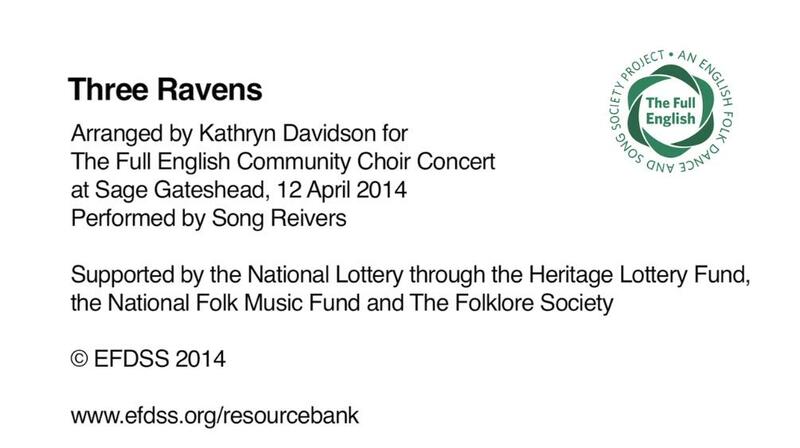 An arrangement of a folk song in 3 parts by Kathryn Davidson. This piece was performed at The Full English Community Choir Day at Sage Gateshead in 2014. A video of the performance can be watched from the video tab at the top of the panel.